We are excited to bring you a new feature on the “Letters from the Library” blog. 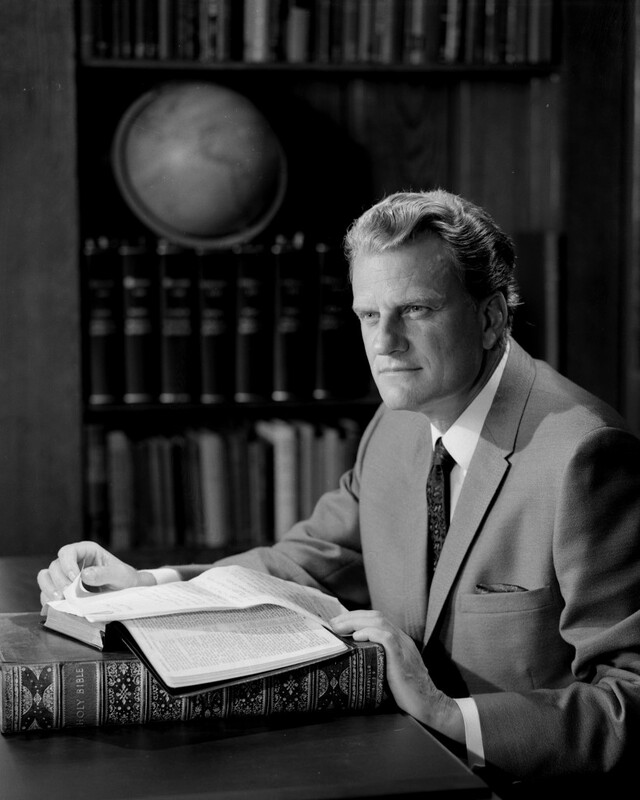 We are searching through the archives and files to bring you “In His Own Words: 5 Things Billy Graham said about…” Each month, we’ll explore a different topic. Today, we are looking at five things Billy Graham has said about his own legacy. In 1996, Billy Graham appeared on “Larry King Weekend,” where Larry King asked him, “What do you want your legacy to be? What do you want them to say when they talk about Billy Graham on a show like this? Say 50 years from now, two guys are talking and one says, what did he do? Billy Graham: “That he was faithful to God and that he did what he was called to do and that is preach the Gospel of Christ and witness for Christ and live for Christ. He lived a good life. He didn’t let God down … I would like to end better than it started. In a 1994 interview with the Cleveland Plain Dealer, Billy Graham was asked a similar question about his legacy and the legacy of his organization. This is from a 1996 appearance on NBC’s Today Show. Visit The Billy Graham Library and take the “Journey of Faith” tour to experience the life of a man who was faithful to his calling and presenting the Gospel around the world for more than 70 years. We hope you’ll be inspired to ask yourself a similar question about your own legacy. A Christ like man in every way. I love to hear Billy Graham. He truly is a God gifted man of God!! love Billy,pray for him and his family,went to library in 2009 loved it!! God’s man.